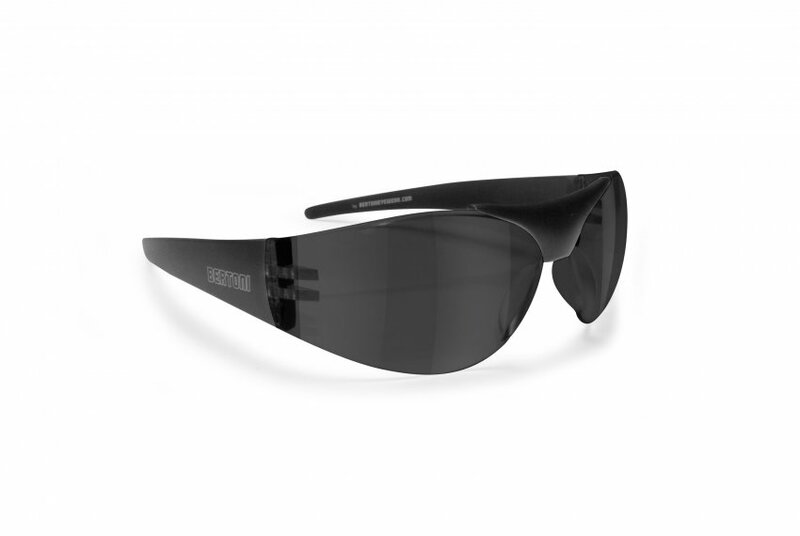 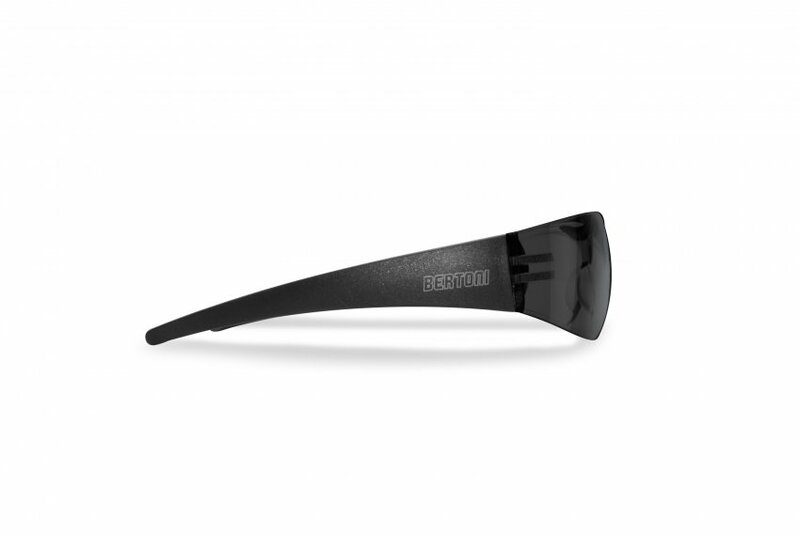 Windstopper motorcycle sunglasses with policarbonate anticrash lenses with 2,2mm of thickness. 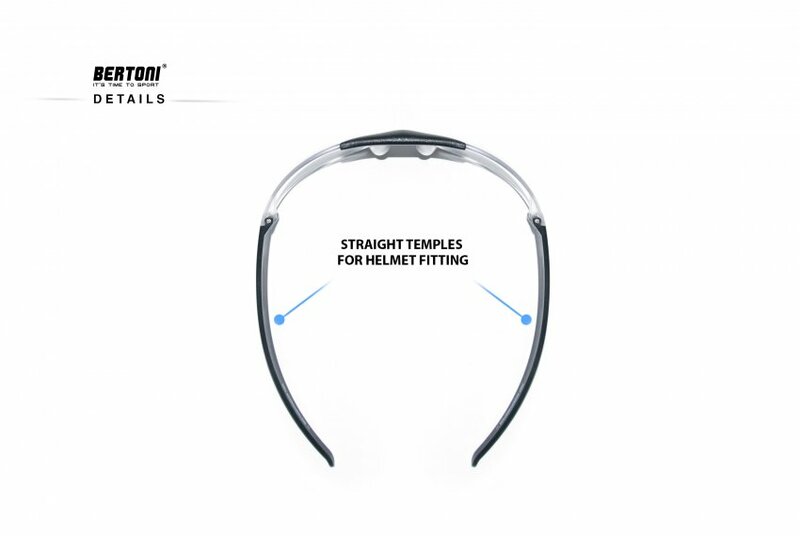 Frame: PC mat back, streight temples for helmet fitting. 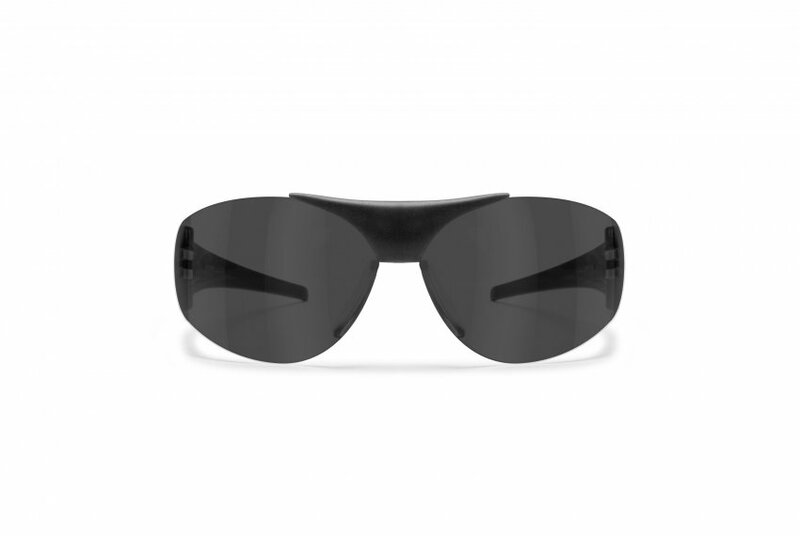 Windstopper motorcycle sunglasses with antifog and policarbonate anticrash lenses with 2,2mm of thickness. 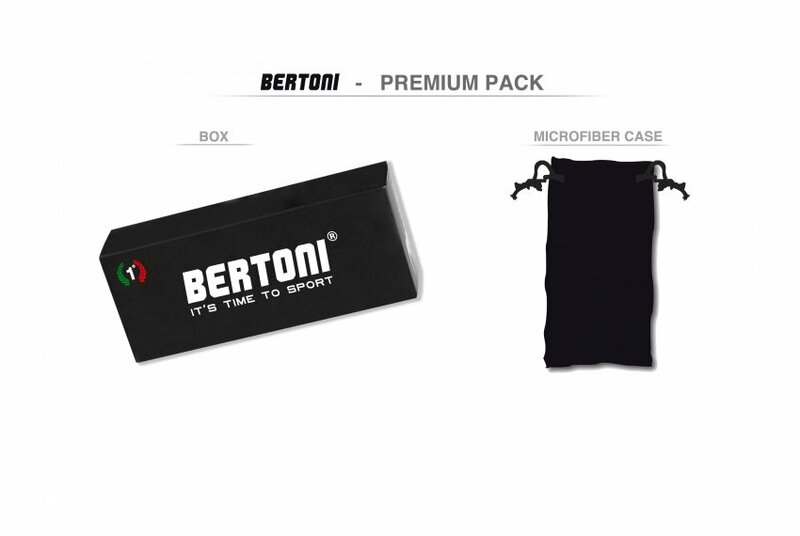 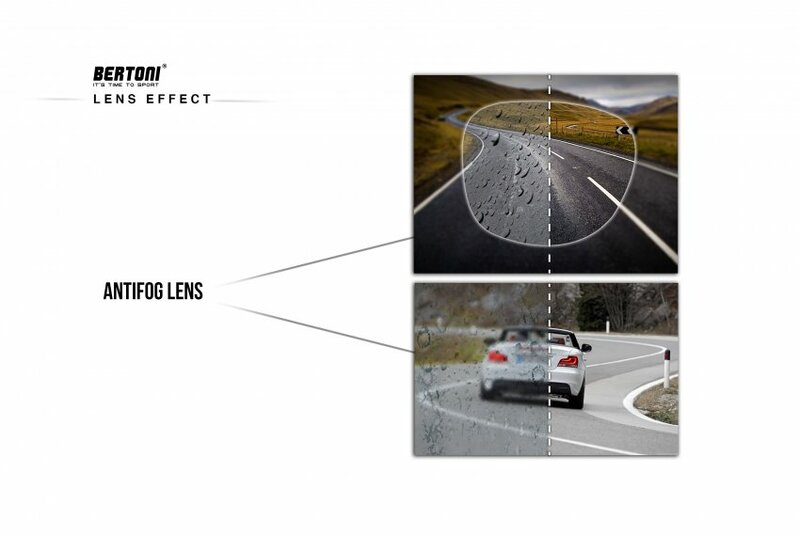 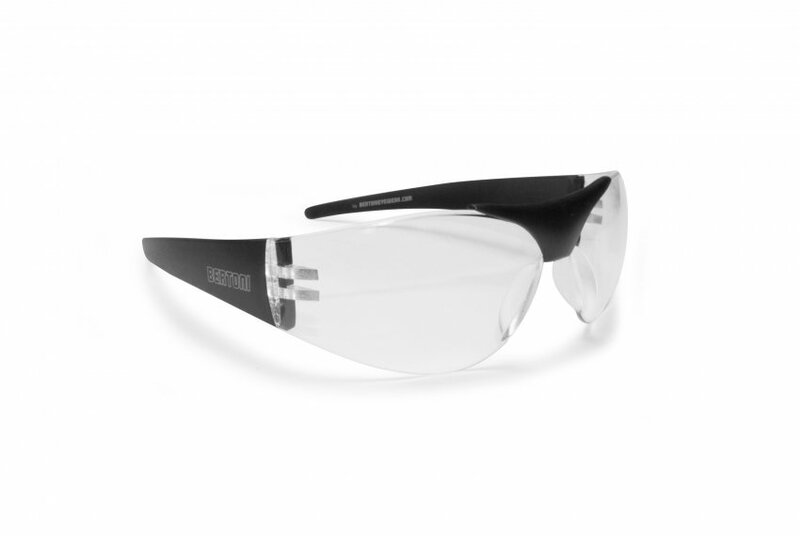 Smoke antifog lenses are recommended in conditions of low or medium brightness. 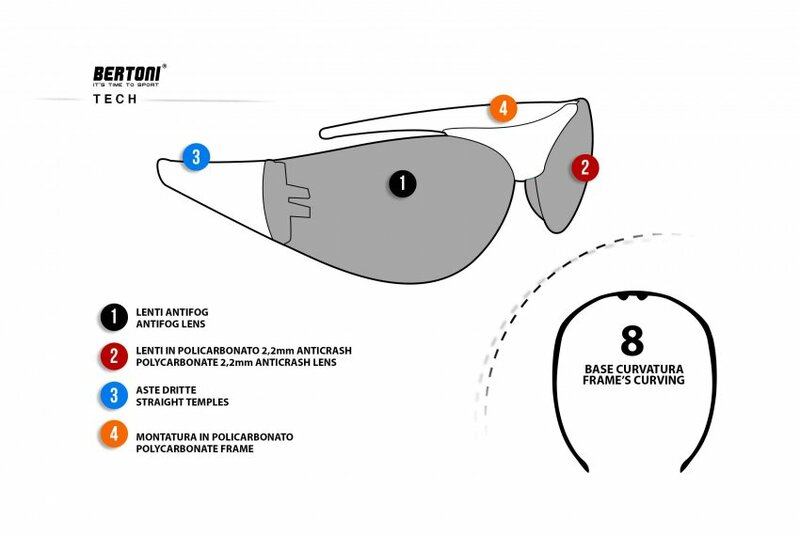 Frame made by PC, straight temples for a perfect fitting under the helmet.